Learn a new skill or hobby and come to this fun workshop. 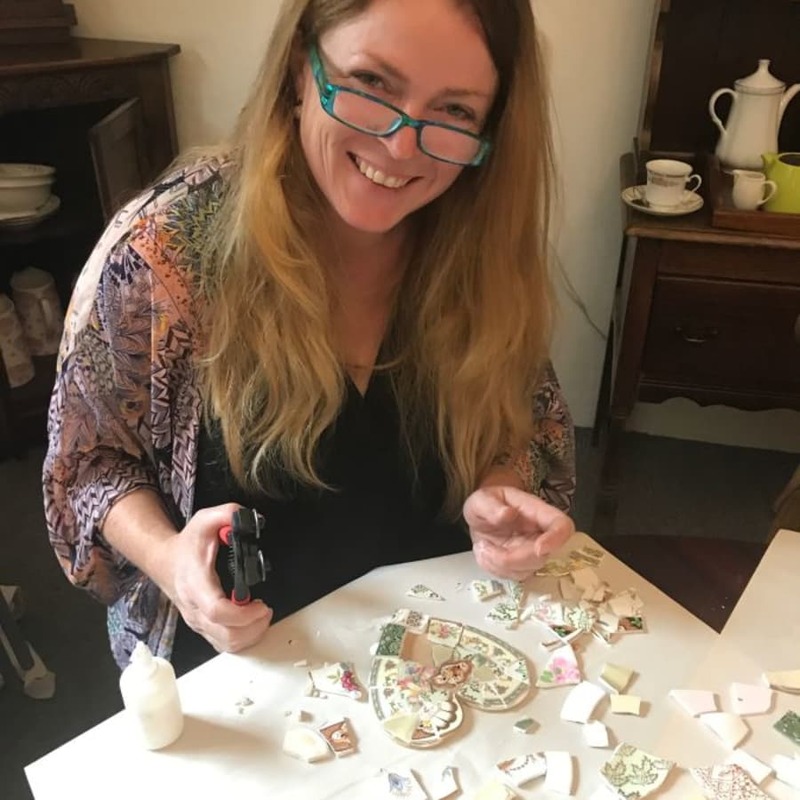 During this four hour workshop, Eva will teach you the art of creating a bespoke and unique mosaic, using vintage china. 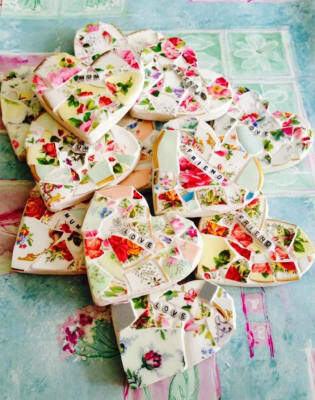 You will be shown and guided throughout the workshop how to cut and apply the china onto your MDF heart shape. You will be able to harness your creativity by decorating your heart, choosing from a large variety of china of all sorts of pretty designs and colours. You will also get the option to use alphabet beads so you can personalise your heart should you wish to do so. Your finished item will be ready to take home and either hung on the wall or displayed on a shelf. 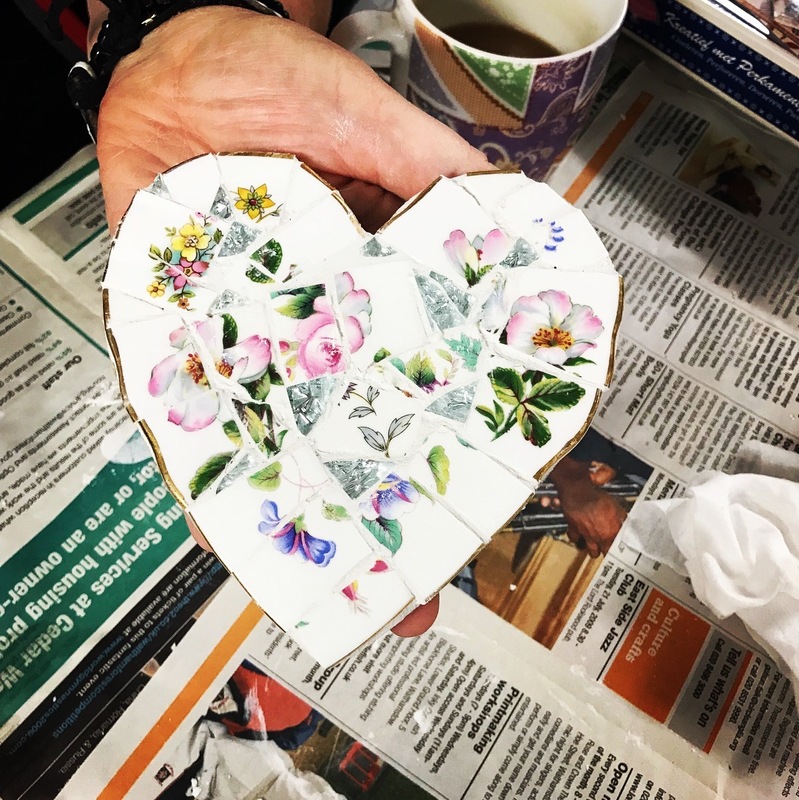 All material will be provided, however, if you have accidentally broken your favourite china then feel free to bring it along and use it for your mosaic pieces. This workshop is suitable for beginners and will give you a taster to mosaic work . No experience necessary just the ability to have fun in a relaxed environment. No two pieces are the same so your item will be quirky and unique. Eva is a self taught mosaic tutor who has a passion for anything crafty especially mosaics. She enjoys nothing more than teaching this beautiful craft and passing her skills onto others. Eva has over 10 years of crafting knowledge, she is now ready to share her mosaic knowledge to others in a fun and inspiring way. 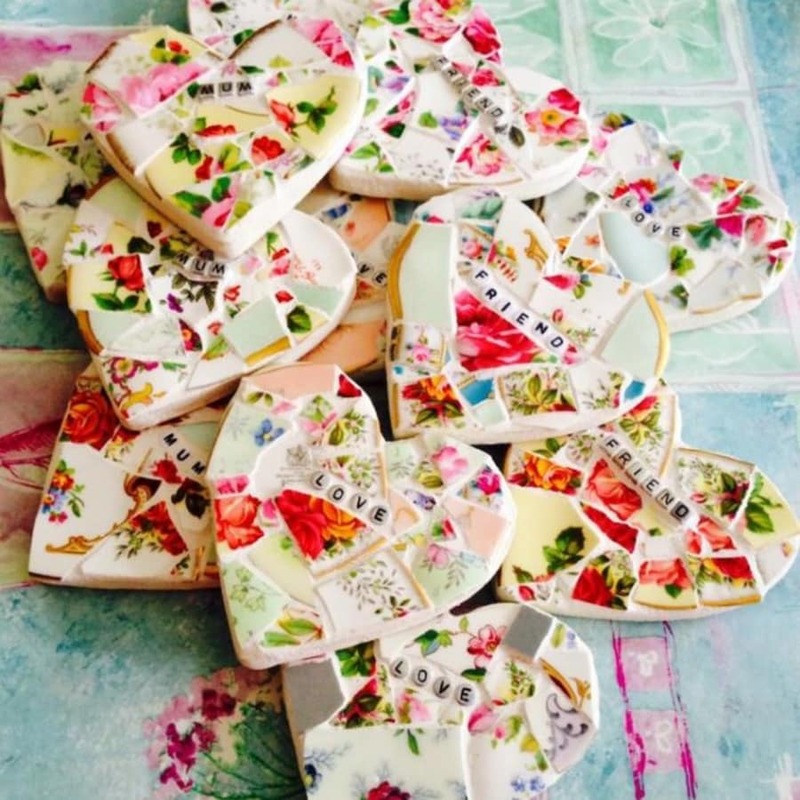 Eva holds mosaic workshops in London and surrounding areas. She has a workshop at home where a lot of her workshops take place, she is also available to come to your home or chosen venue. All materials provided for the class, but please bring a packed lunch.